Here at Pipeburn Heavy Industries, we love ourselves some creative and original motorcycle content, which is why we wanted to show our support for a new motorcycle publication called Big Bore Magazine. The magazine is designed and written by Frenchman Franck ‘Castrol’ Samery — don’t worry the mag is written in both English and French. 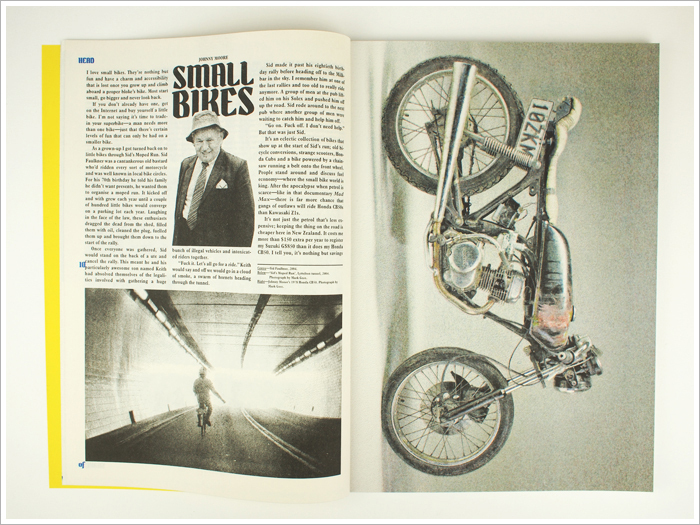 Franck is a graphic designer who has been restoring vintage bikes and cars for most of his life. He also has a Triton to die for.